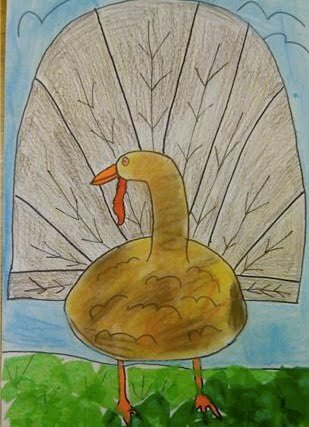 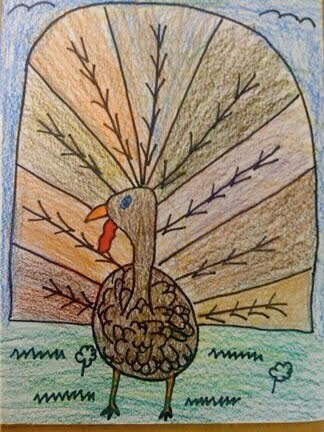 I taught the students how to draw the turkey that was posted on Art Projects For Kids (which was a great base for lots of turkey-projects), and then gave them a variety of materials to use. 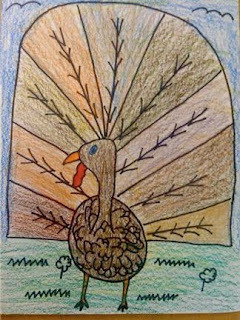 I love the one posted directly below, because they chose to add textured grass by doing tissue-paper grass. They all turned out really cute, and the kids always love learning something new to draw and add to their book of "can-do's".